Gain the centred edge in all aspects of your life…. Explore what sustainable mindfulness actually looks like and where meditation fits in. Understand what continually gets in the way of being mindful throughout the day. Develop self-awareness and learn techniques to break recurring cycles. Build social-emotional intelligence to enhance your leadership prowess. Explore what’s beyond mindfulness and shift your relationship to yourself in the process. Learn a powerful technique to become the person you’ve always wanted to be. Urban professionals seeking to take their meditation benefits to the next level and reach more of their full potential. Cost includes all sessions, materials, and one-on-one support. Walter pioneered the development and teaching of a wide range of methods designed to maximise the professional and personal potential of individuals, teams and organisations. Walter is an international consultant who regularly consults to the top senior management teams of Australian public and private sector organisations in the areas of corporate development, leading organisational change (specialising in organisational cultural change), leadership development, teambuilding, communication skills and strategic business planning. 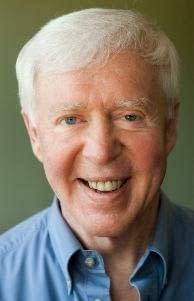 Walter began meditation in 1970 and has continued ever since. Mindfulness meditation training has always been part of Walter’s leadership and personal development programmes. I was looking for a way to get more regular with meditation and the Centred Edge program gave me several methods to make it a habit – it really answered the question for me of why do we meditate? My mind was blown by all the research and self-improvement awaiting me. My relationships have also all improved and I find myself being more compassionate towards total strangers, understanding and embracing situations through their eyes. This program has definitely changed the direction of my life! I signed up to Centred edge having not meditated before, but having heard of the benefits, I figured it’d be a great place to start. The programme gave me a new found awareness and fascination for the mind. It enables you to understand your thought patterns and behaviours, and you will come out on track to higher levels of empathy and emotional understanding for those around you. Whether you’re stressed out and run down from the demands of work, or if you’re just seeking more clarity and focus in any area of your life centred edge is for you! I couldn’t recommend Walter and the Centred Meditation team more. The Centred Edge Program is a meaningful next step beyond guided meditation. The sessions introduce new meditative techniques to increase our transition through different levels of our Adult Development. I found the sessions to be especially helpful in understanding and mastering my own stress cycle through non-judgmental self-awareness and techniques for enhancing the level of Intellectual and emotional Compassion in my personal and business life. Walter, Kevin, and Nikki are quite helpful in bringing the session’s lessons to life through real-life examples and the quality of their facilitations. I had been attending Centred Meditation regularly for 2.5 years before I took part in the Centred Edge program. It was one of the most rewarding things I have done in my life to date. 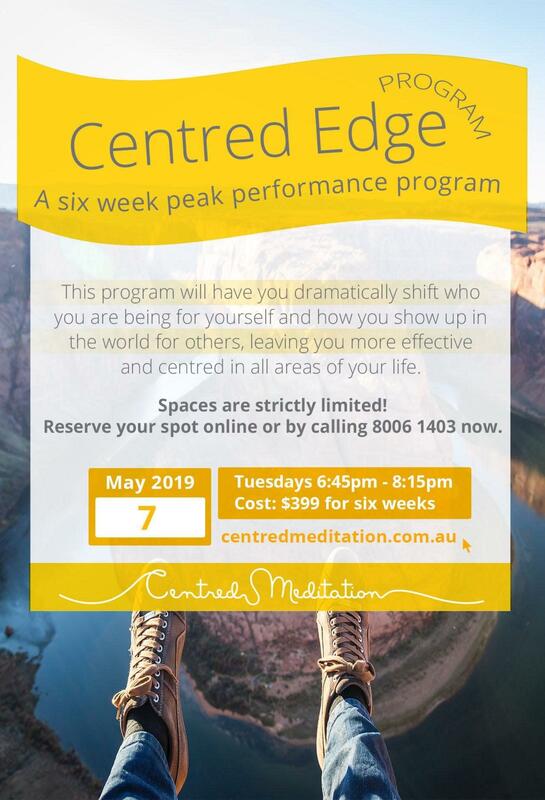 If you want to learn practical tips on how to stop placing limits on yourself, how to better connect with people and improve your overall wellbeing all wrapped up with improved meditation then I strongly recommend doing this program!